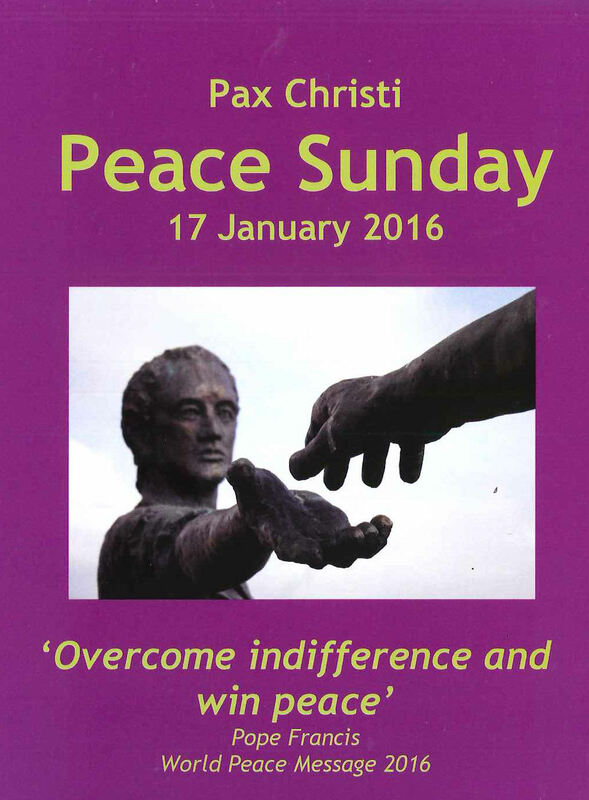 Every year Pax Christi promotes the Holy Father’s World Peace Day Message on the 2nd Sunday in Ordinary Time. This is in the Liturgical Calendar cycle of prayer. 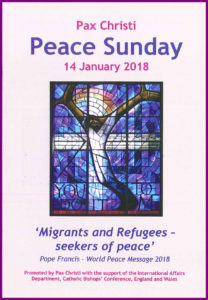 Pax Christi sends resource materials to every parish in the country to help them mark and celebrate the day. 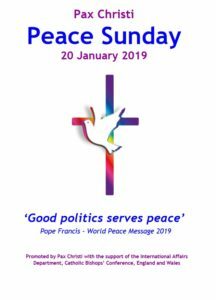 One thing is certain: good politics is at the service of peace. 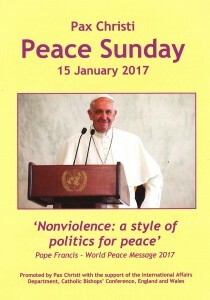 It respects and promotes fundamental human rights,which are at the same time mutual obligations, enabling a bond of trust and gratitude to be forged between present and future generations….today more than ever, our societies need “artisans of peace” who can be messengers and authentic witnesses of God the Father, who wills the good and the happiness of the human family. Sheet of extracts from the World Peace Day message – could be used in newsletters/to create posters. 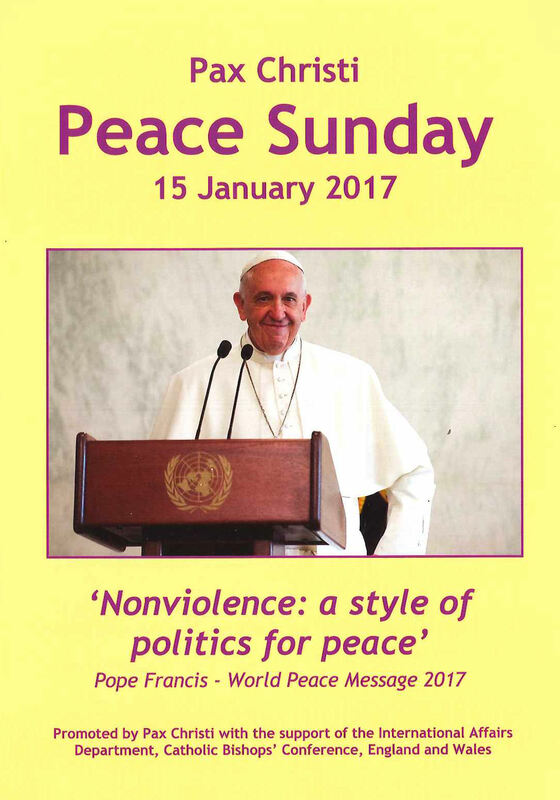 Extracts of the World Peace Day message, useful for newsletter/talks. 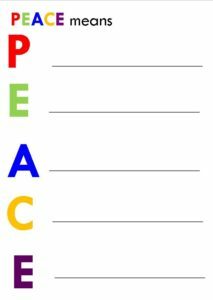 “…“piecemeal” violence, of different kinds and levels, causes great suffering: wars in different countries and continents; terrorism, organized crime and unforeseen acts of violence; the abuses suffered by migrants and victims of human trafficking; and the devastation of the environment. Where does this lead? 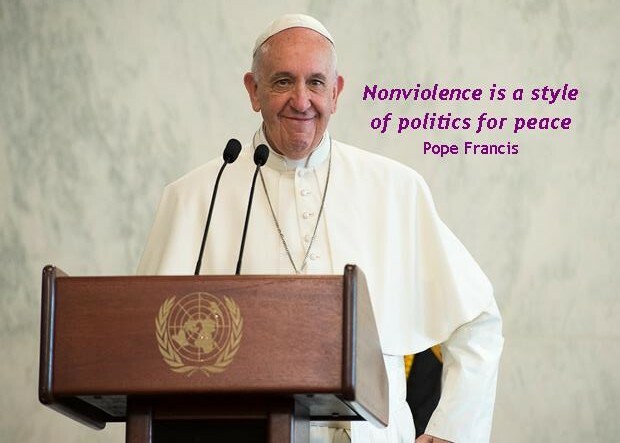 Can violence achieve any goal of lasting value? Or does it merely lead to retaliation and a cycle of deadly conflicts that benefit only a few “warlords”? Violence is not the cure for our broken world…. 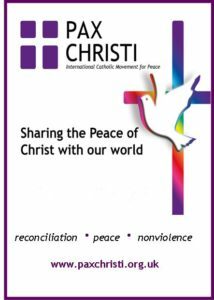 Nonviolence in Action: take a look at Pax Christi page with stories of nonviolence, support resources and more.